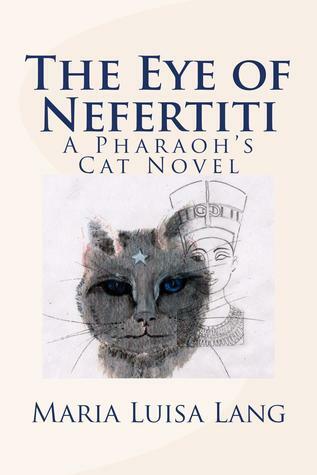 The Eye of Nefertiti interweaves feline and human, past and present, natural and supernatural. It contains numerous surprises, twists and turns, intriguing characters, both human and animal, fascinating revelations about ancient Egyptian history and culture, and an ingenious application of the Tarot and an Italian opera. Maria Luisa Lang was born in Rome, Italy, and lives in New York City. She has a degree in art history and is an amateur Egyptologist. 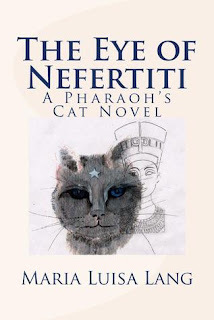 The Eye of Nefertiti is her second novel. Her first novel, The Pharaoh’s Cat, is also available on Amazon in paperback and in a Kindle edition. This isn’t my usual genre, but I couldn’t resist a book starring a cat. I was a bit nervous that I wouldn’t like it, however, I was pleasantly surprised. This cat narrates the book – he is a feline with attitude. He’s the reason the term “catitude” came into existence, I’m sure :) All the characters – both feline and humans - are well-written and the plot moves along at a nice pace. I practically devoured this book. It oozes with charm. It has a nice blend of everything from mystery, adventure, and even a touch of romance. I must warn you – the cat does talk and have some human traits. That might be a problem for some, but this is a fantasy and I loved every minute of it. This book is a sequel to The Pharaoh’s Cat. I didn’t read that one, but it didn’t stop me from enjoying this book on its own. The good thing is this book, also, gives you the background needed to give the reader a good feel for what is happening and why. I’m hoping there will be another book to follow. FTC Disclosure: I was given a copy of this book from the author. I was not required to write a positive review. All opinions expressed are my own. Yvonne, I'm glad you enjoyed this cat novel. It sounds wonderful in every way! Enjoy your weekend.